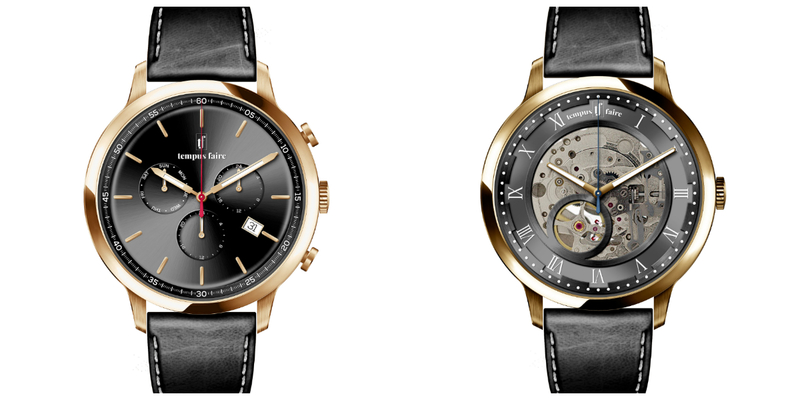 LONDON, UK – 08-28-2018 (Press Release Jet) — New designer brand, Tempus Faire are collaborating with Europe’s best luxury watch designers to unveil their revolutionary men’s watches. Tempus Faire is proud to announce the launch of its new Kickstarter campaign at the end of September. They hope to achieve two goals: to allow talented watch designers to bring their ideas to market and to help raise money for building new design schools in Africa. Tempus Faires is extremely proud to be part of this charitable mission and will donate 1% of all its future sales to Anno’s Africa. The company hopes their partnership with the charity will help change the lives of up to 10,000 impoverished African children who do not have direct access to education. “Our mission is simple, we want to change the world through inspirational design.” said James Lum, Co-Founder and CEO of Tempus Faire. As a partner to the biggest suppliers in the watch-making industry, Tempus Faire has access to the latest technology and the highest-quality watch materials. They are confident this will be a solid foundation for creating men’s watches which are truly one-of-a-kind. For their first collection, they have collaborated with one of the top designers in the luxury watch industry, Clement Sinibaldi. He has worked with some of the world’s biggest luxury watch brands, such as Swiss watch-maker Audemars Piguet. Tempus Faire is a watch designer and retailer operating from its main headquarters in London, UK. Headed by James Lum, the company has already launched a successful designer watch company. CEO James Lum has been involved in the watch business for over five years. During this period, he has established fruitful relationships with several of the world’s biggest watch brands and designers. Now he is proud to step behind the curtain, and bring to market beautifully designed men’s watches at a fraction of the normal price. For the original news story, please visit https://pressreleasejet.com/news/tempus-faire-to-unveil-their-revolutionary-luxury-mens-watch-brand-on-kickstarter.html.